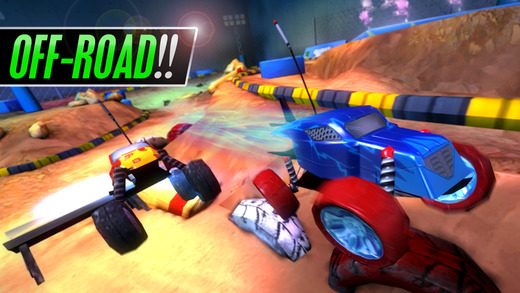 Over the last few weeks there has been something of a swarm of miniature racing games released on the world. We’ve had Super Toy Cars, Table Top Racing, and now we have Touch Racing 2 giving mobile gamers a chance to join the tiny racing fun. 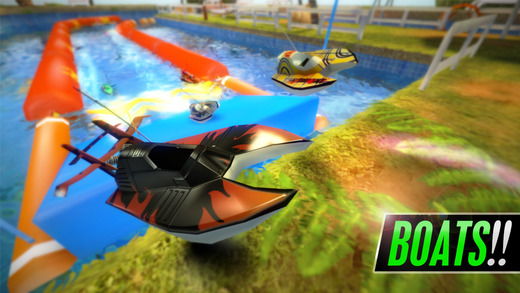 Touch Racing 2 gives players the chance to race with RC cars, off-road buggies and boats. 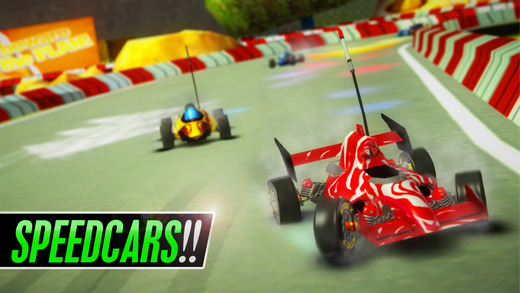 You are given one vehicle for each discipline and are free to race it in standard races, against bosses and in multiplayer (which requires a Facebook account to play). The three different types of vehicle aren’t just cosmetic changes; each feels significantly different in the way they handle and move. Although you can’t purchase new vehicles you can purchase upgrades. I say you can but it’s effectively mandatory. If you don’t upgrade your vehicles you wont be able to enter and compete in future races, as you wont be quick enough. The upgrades offer some cosmetic changes as well as stat boosts to make you competitive. Some races won’t become unlocked until you have upgraded certain parts of a vehicle, which can result in the need to grind for upgrades in order to advance. You can purchase these upgrades with either of the game’s two currencies. 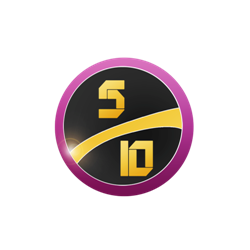 Gold can be earned from completing races and performing certain actions in these races such as drifting or hitting speed boosters. Diamonds on the other hand can be earned by beating bosses. As you would expect in a F2P title, you can buy them both with real money. That said, prices for the in-game currency aren’t too unreasonable and playing for free doesn’t give any real disadvantage. The only questionable micro transactions are those that ask you to speed up the time it takes to install an upgrade to a vehicle or to buy more energy so you can race again without having to wait, which limits gameplay to one race every 10 minutes. On the track itself the races are disappointingly easy. All races consist of two laps around a track, which is more than enough time for you to take first place, crash into last then regain a sizeable lead before crossing the line. A few of the boss races are slightly more challenging, but it’s all still too easy. The controls are what make the game fun to play. You tap and hold where you want your vehicle to go, but the ever-changing camera angle means that you will have to constantly be moving your thumb and changing which thumb you are using. It takes an awfully long time to master but once you get the hang of it, hitting a perfect apex by switching thumbs at the right second feels incredibly satisfying. Graphically, Touch Racing 2 isn’t great; the vehicle models are sub-par, but with all the different variations it can be forgiven. There is also a fair amount of clipping, where a vehicle will merge into what should be a solid bit of scenery – again, not a massive issue but annoying. The sound is perhaps the most irritating element, as when you’re racing around a track it sounds as if there is a bee hovering right next to your ear. The engine sounds don’t vary much and as a result become incredibly agitating. VERDICT: The on-track action in Touch Racing 2 would legitimately be some of the best on mobile devices if it were a bit more challenging. The controls are great, the track design is interesting and the different disciplines offer variety, but it’s just too easy. Add in the graphical issues, annoying sound and questionable F2P implementation and it becomes difficult to recommend Touch Racing 2. There is fun to be had here; you just have to put up with a lot to get to it.